Dolomite Mountains offers an impressive catalog of Dolomites summer trips, from hiking and biking, to climbing and Via Ferrata. Hiking, Biking, Climbing and more – the Dolomites have all the ingredients for the perfect summer holiday! While known around the world for winter pursuits (the Dolomites were host to the 1956 Winter Olympics, after all), in summer the Dolomites come alive. 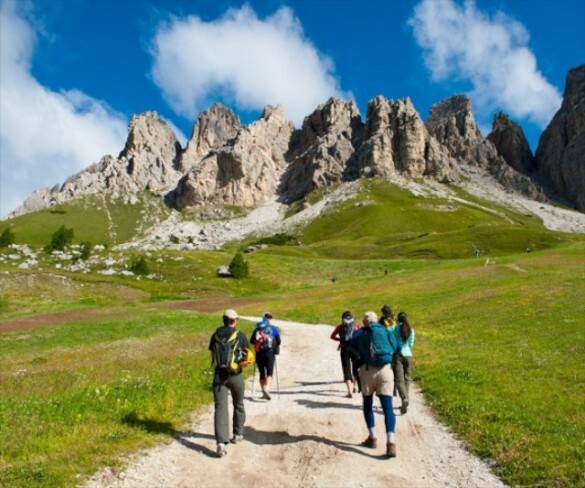 Hiking, mountain biking, trail running, road bicycling, rock climbing, and, of course, climbing the infamous via ferrata – the Dolomite Mountains have it all! Add to that refined Venetian and South Tyrolean towns, luxurious accommodations, hidden mountain inns – or rifugi as they are called here, and delicious local and international cuisine, and you have everything you need for the perfect summer holiday. OUR MOST POPULAR TRIPS – see what summer has to offer in the Dolomites! At Dolomite Mountains, we’re the experts. We live here, and we know these mountains inside and out. And we bring this local knowledge and insight to create the perfect trip, just for you. There’s no one better to help you plan your holiday here than Dolomite Mountains. Please contact us for more information on booking your summer vacation in the Dolomites. PUT YOUR HOLIDAY IN THE HANDS OF OUR PROFESSIONAL GUIDES! At Dolomite Mountains, all of our guides are licensed, certified experts – passionate, experienced mountain professionals who work year round in the outdoor industry and are dedicated to providing you with an exceptional experience. 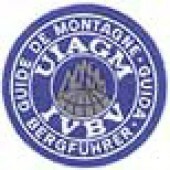 What’s more, of our climbing, via ferrata, and ski guides are UIAGM/IFMGA certified, the highest mountain guide qualification in the world!